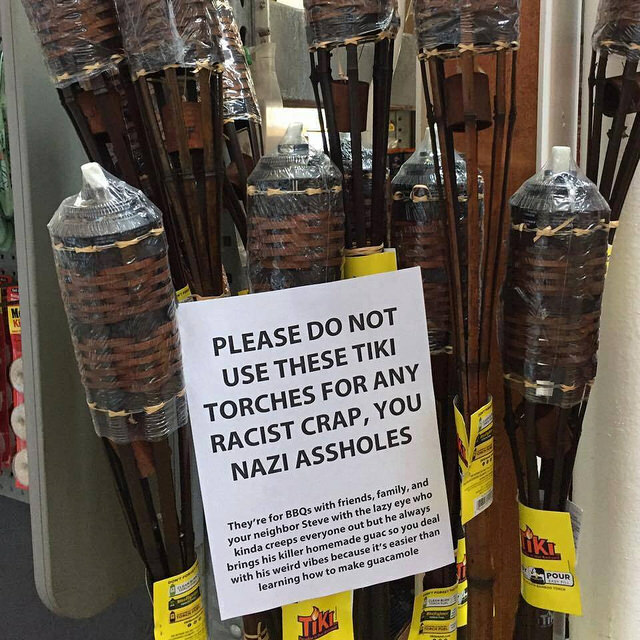 How bad has it become when a tiki torch company gives a better response to Nazis than the president of the United States? This entry was posted in Advertising, Fascism by brobrubel. Bookmark the permalink.